Or, maybe when I grow up, I can have one like it. 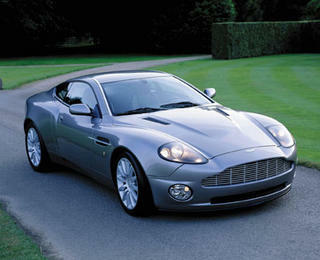 It is an Aston-Martin Vanquish v12. What I would be concerned about, of course, is with the rising price of gasoline, how can I afford to drive this beauty with a 22 gallon gas tank and only 11 miles per gallon? Ouch. What I really do like about it is the "boot mounted umbrella". Everyone needs one of those.